So it’s looks like Pro MMA fighter Jeff Monson might have got his hands a little dirty last weekend. 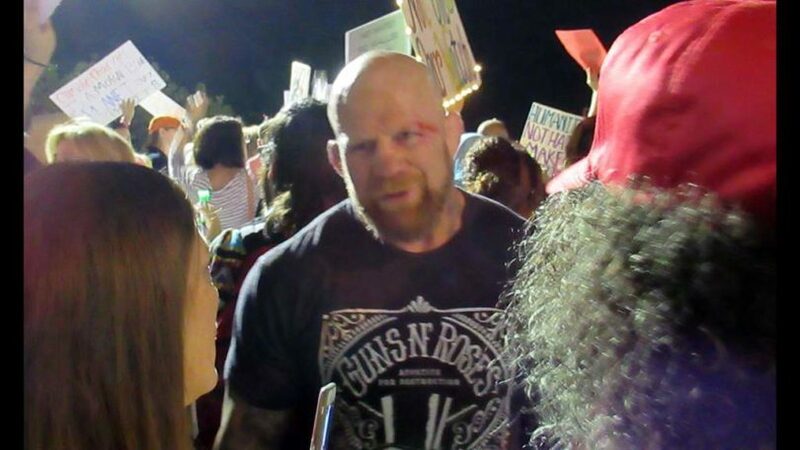 At a protest last weekend at Palm Beach a trump support picked a fight with the wrong guy. Thankfully the crowd got in there pretty quickly before the Trumper was killed!